Chantal Gaemperle holds a Master in Political and Social Sciences and an MBA in Public Administration from the University of Lausanne, and is a graduate of INSEAD (France). Chantal Gaemperle was Recruitment & Human Resources Development Manager with Philip Morris from 1991 to 1995. She subsequently joined Merrill Lynch International as Head of Human Resources for Switzerland. In 2001 she was named Head of Corporate Management Development and Sourcing and a member of the Management Committee of Nestlé. She joined LVMH in 2007 as Group Executive Vice President Human Resources and Synergies and is a member of the LVMH Executive Committee. Nauman Hasan is a graduate of INSEAD (France). He joined LVMH in 2001 as the LVMH Group - France / Corporate Organization Manager and has held several key positions within Moët Hennessy France and Europe. He is currently Executive Vice President, Group Coordination and HR, LVMH South & South East /Asia and Australia. At the age of 43, Professor Gerard George is all set to be the youngest dean of SMU's Lee Kong Chian School of Business (LKCSB). Prof George is currently Deputy Dean of the Imperial College Business School and the Director of the Rajiv Gandhi Centre. Prof George has a vision and mission to make LKCSB one of the top 20 in the world, in terms of thought leadership, quality of teaching and student experience. Prof George wants to build an entrepreneurial eco-system, as well as strengthen the business school's integration with the community. SMU President Professor Arnoud De Meyer said that he was very happy to recommend Prof George to the SMU Board of Trustees because of his outstanding research and his talents as the Editor of one of the most important journals in his field. Professor Tan Chin Tiong is Senior Advisor to the President of the Singapore Management University. He was the founding Provost and Deputy President of Singapore Management University from 1999 to 2009. He was the founding President of Singapore Institute of Technology from 2009 to 2013. He spent 20 years of his career at the National University of Singapore where he was Head of the School of Management, Chairman of Executive Programs of the Faculty of Business Administration, and Director of the NUS Office for Continuing Education. Professor Tan received his PhD in Business from the Pennsylvania State University, USA. Prof Tan is active in management development and consulting. He designed and taught in many executive programs around the world, a regular speaker in the US, Europe, Australia, New Zealand, Asia and South Africa. Prof Tan was on the board of Citibank Singapore Ltd and the non-executive chairman of Superior Multi-Packaging Ltd. Prof Tan is also independent director of several publicly listed companies such as Health Management International Ltd, Communication Design International and MYP Ltd. He is the Past President of the Marketing Institute of Singapore. Prof Tan is a co-author with Philip Kotler on Principles of Marketing: An Asian Perspective, 2011, Pearson, Marketing Management: An Asian Perspective, 6th Edition, 2012, Pearson, and Principles of Marketing: A Global Perspective, 2009, Prentice Hall. He also co-authored New Asian Emperors: The Business Strategies of the Overseas Chinese, 2009, The Chinese Tao of Business: The Logic of Successful Business Strategy, 2004, John Wiley; Marketing Management: An Asian Casebook, 2004, Pearson Education; Marketing in the New Asia, 2001, McGraw-Hill; Strategic Marketing Cases for 21st Century Asia, 2000, Prentice Hall (with John Quelch); New Asian Emperors: The Overseas Chinese, Their Strategies and Competitive Advantages, 1998, Butterworth-Heinemann; and Marketing Insights for the Asia Pacific, 1996, Heinemann Asia. Prof Tan is active in many government agencies, he has served on committees of various government bodies. He was also a member of the Steering Committee for setting up the 3rd University (Singapore Management University) and 4th University (Singapore University of Technology and Design) in Singapore, under the Ministry of Education, Singapore. Francis Koh is a Professor of Finance (Practice). He holds the appointments of Vice-Provost (Special Projects) and Director, MSc in Wealth Management Programme at SMU. Prior to joining SMU, he was a tenured faculty at the National University of Singapore. While there, he also held several administrative positions, including Vice-Dean, Faculty of Business Administration and Director, Financial Management Program for Executives. Between 1994 and 2002, Francis was employed by the Government of Singapore Investment Corporation (GIC). He was involved in private equity investment projects in various countries in the region, including China, Thailand, Indonesia and Malaysia. He was also involved in many corporate training and development initiatives at GIC. Francis has also been active in consulting, executive development and public service. Organizations he had consulted for include Bank of Singapore, Citibank, GIC, IBM, IBF, Monetary Authority of Singapore, IMAS, MayBank, OCBC Bank, Singapore Airlines, Standard Chartered Bank and Wealth Management Institute. He is the Faculty Adviser on SMU’s Investment Committee, Council Member of the Ngee Ann Polytechnic Council and its Investment Committee, and Board Member of the Singapore College of Insurance. He was appointed by MAS to the Financial Advisers Industry Review Panel in 2012 and the Advisory Committee on Money Lending set up by the Ministry of Law in 2014. Francis has published in numerous academic journals. His academic articles have appeared in the Journal of Financial Economics, Journal of Business Finance & Accounting, Journal of Business Venturing, Asia-Pacific Journal of Management and Singapore Economic Review. He has written book chapters and presented papers at international conferences, including meetings of the American FInance Association, Asia-Pacific Finance Assiciation and Academy of International Business. In 2012, Francis was awarded an Honorary Doctorate (honoris causa) in Economics by the University of St Gallen, Switzerland. In 2013, he was conferred the Public Administration Medal (Silver) on the occasion of Singapore’s 48th National Day. In 2014, he received the Meritorious Service Award (Bronze) from SAFRA. In 2015, he received a special medallion for 20 years of service from the Ministry of Education. Francis obtained the degree of BBA (Hons) from the University of Singapore, MBA from the University of British Columbia and Ph.D from University of New South Wales. He is a member of the Institute of Chartered Public Accountant of Singapore and a Fellow of the Chartered Institute of Management Accountants (UK). Dr. Srinivas K. Reddy is Professor of Marketing and Director, Center for Marketing Excellence, Lee Kong Chian School of Business, Singapore Management University. He served as the Associate Dean of General Management overseeing the MBA and the Executive MBA programs. Previously, he was the Robert O. Arnold Professor of Business and the Director of the Coca-Cola Center for Marketing Studies, Terry College of Business at the University of Georgia. He holds M.Phil and Ph.D. degrees in Business Administration from Columbia University. Dr. Reddy was on the faculties of New York University’s Stern School of Business, Columbia University, University of California, Los Angeles and the Stanford Business School. Dr. Reddy's expertise is in innovation, new product development, marketing and competitive strategy involving new brands and services. His research has been published in Journal of Marketing, Journal of Marketing Research, Management Science, Statistical Science, Social Networks, Marketing Letters, Journal of the Academy of Marketing Science, Decision Support Systems and Journal of Business Research. In 2006, he has been awarded the IBM’s prestigious SUR grant to study corporate innovativeness and innovation conversion. 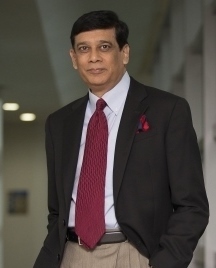 He has consulted and taught executive programs for IBM, Coca-Cola Company, United Parcel Service, Miller Brewing, Pfizer, Eli Lilly, Bristol-Myers-Squibb, Satyam Computer Services, Chase, Turner Broadcasting, Cox Interactive Media, Equitable, Ford Foundation and Price Waterhouse Coopers, MasterCard, Unilever. He has been recognized for his outstanding teaching and was the recipient of Award for Teaching Excellence in 1994. He was nominated as the MBA Teacher of the Year in 1999, 2000, 2002 and 2005.